Despite the importance of personal finance skills, the majority of us simply don’t have the necessary knowledge to make informed financial decisions. In fact, of the over 17,000 people to take the National Financial Literacy Test, a meager 48% of participants received a passing score. Among the many topics about which we’re under-informed, consumer credit is probably near the top of the list. Even a basic concept, such as how to get a credit card, can be confusing to those who don’t have a lot of experience with credit. And when it comes to selecting the right credit card, well, that can be a difficult task for even the most experienced cardholders. On the plus side, obtaining the necessary knowledge to make wise credit decisions doesn’t require going back to school, hiring an expensive advisor, or hunting down a magic lamp. 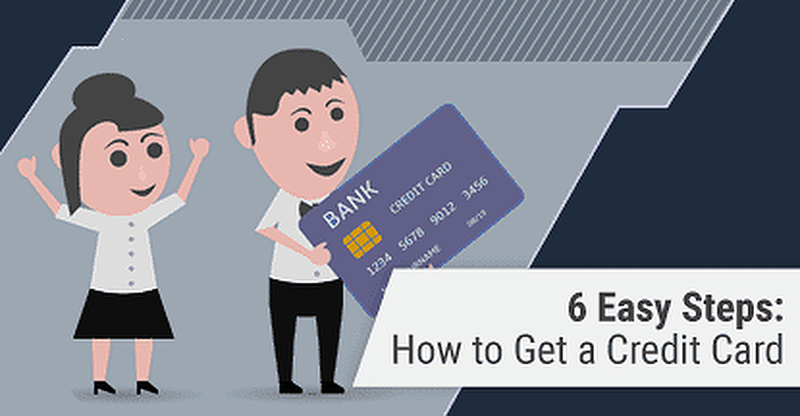 Instead, the power of the internet allows us to share that knowledge with you, for free, in the form of helpful guides and advice, walking you through many important financial topics — starting with the six steps to get a credit card. The first thing to do when it comes to getting a credit card is also the first thing you should do when taking charge of your consumer credit in general: actually look at your credit. Why? Because that’s what the credit card companies (and any other potential creditors) are going to do when you apply. Indeed, your credit will be a major factor in determining the type of credit card for which you’ll qualify and may be the difference between being approved for a new rewards card — or having to settle for a subprime credit-builder. Furthermore, not only will a string of rejection letters pummel your self-esteem, but a bunch of applications for new credit (whether you’re approved or not) can wreak havoc on your credit score. While FICO and VantageScore use the same score range, they categorize scores in different ways. The best way to determine your credit situation will be to take a hard look at your complete consumer credit reports (you have three, one from each credit bureau), as it is from this data that your credit score is calculated. You can also use a wide range of free services, including some of your existing credit cards, to get an idea of your numerical credit score. For the most part, credit cards can be lumped into four credit categories: cards for good credit, for fair credit, for bad credit, and for no/limited credit. While your exact credit score will vary by scoring model and range (FICO and VantageScore both use the same number range, but different scales), you can use it to estimate the category in which you likely fit. Regardless of the exact model, if your credit score is over 700, you likely fall into the “Good Credit” category. These consumers typically have well-established credit histories, no recent missed payments, carry low balances, apply for new credit infrequently, and have a variety of credit types. Those with good credit will usually qualify for the widest range of credit cards, including cards with lucrative rewards programs and juicy signup bonuses, and will also receive the lowest interest rates. You can start your search for the perfect card with our top-rated pick for good credit. Whether building your credit for the first time or rebuilding your credit after a difficult financial period, most consumers will fall into the “Fair Credit” category at least once in their financial lives. These consumers may have a limited number of credit products, have only recently started establishing credit, have had one or two missed payments in the last few years, or have high utilization rates from carrying large balances. Although those with fair credit will not have the whole credit card buffet from which to choose, they’ll still be offered a range of card options, including several offering cash back rewards and other perks. Be sure to compare options, beginning with our favorite fair-credit card, to ensure you end up with the best rates and rewards. While the actual upper limit will vary by scoring model, the type of credit product, and even the individual credit card issuer, many consumers with credit scores below 650 will fall into the “Bad Credit” category. These consumers tend to have major negative marks on their credit reports, such as having several recent missed payments, extremely high utilization rates, defaulted credit accounts, or even bankruptcy discharges. Since creditors view bad credit as a sign of credit risk, those with bad credit are typically limited to subprime unsecured credit cards, which often carry particularly high interest rates and fees, or secured credit cards, which require a deposit to open. It’s especially important for those with bad credit to compare credit card offers, perhaps starting with our favorite pick, to ensure you get the most affordable credit card for you. While “no news is good news” for a variety of industries, the consumer credit industry isn’t one of them. Without a credit report or score to help creditors determine your credit risk, many issuers will be hesitant to approve those who fall into the “No Credit History” category. That said, you can still find a variety of credit card options perfect for starting your credit journey, including some offering your first taste of credit card rewards. When comparing options, such as our top-rated pick, be sure to look at annual fees and other expenses, as well as the interest rate the card will charge. Of course, even limiting yourself to the credit cards within your particular credit score category can leave you with a lot of options to consider — especially if you fall into the fair credit range or above. Among the choices you’ll need to make when selecting a card will be to decide which features you need (or simply want) your new credit card to offer. All in all, how you plan to use your card will play a huge role in which card you choose, particularly in terms of the perks and rewards offered by each card. For instance, those who will need to carry a balance may not select the same card as someone who wants to stock up on airline miles. Read on to see a breakdown of several major features and the top three cards for each. It’s likely no secret that interest rates are high on the list of just about any cardholder describing what they dislike about credit cards. What is lesser known is that there are myriad ways around this particular expense — including the magic-like awesomeness of introductory 0% APR offers. Providing new cardholders with a 0% interest rate for the length of the introductory period, these offers can give you a year or more of interest-free purchasing. And while you can find a variety of intro APR offers for either new purchases or for balance transfers, our top-rated picks include cards with 0% APR offers good for both types of charges. Perhaps the most straightforward of all rewards programs — and, thus, the most likely to be used — cash back can be a lucrative way to get the most out of your credit card purchases. Most cash back programs come in three flavors: a single flat-rate cash back amount for all purchases, a variable cash back rate based on specific set categories, and a bonus cash back rate based on rotating categories that change each quarter. The best way to determine which cash back program to select is to look at your particular spending habits. If your purchases fall into common categories, these programs can be quite profitable. If your spending is more varied, a general flat-rate system may be best. The majority of cash back rewards programs, including our favorite cards, offer the ability to redeem your cash back as a statement credit, gift card, or check. Perfect for the frequent traveler (or anyone who wishes to travel more), credit cards offering airline miles can be a great way to rack up the miles necessary to take that next big trip. Similar to other rewards programs, the number of miles you earn per dollar spent may vary with purchase category. For example, many miles cards offer bonus miles for travel-related purchases. Watch out for cards that charge particularly large annual fees, as these can easily eat into your rewards if they’re too high. Additionally, unless you are especially loyal to a particular airline, the best miles programs for most will likely be those that don’t limit you by brand or carrier. Our top picks offer flexible redemption options to ensure you get the most out of your miles. Although not as straightforward as cash back, credit card rewards programs that operate using points are often the most flexible and provide the widest range of redemption options. Most points programs will allow cardholders to redeem points for both cash back and travel, as well as offering other options such as merchandise or exclusive experiences. When comparing your options for points programs, be sure to carefully consider how you’re most likely to earn and redeem your points. Each program will have its own value scale, meaning points may be worth more when redeemed for specific purposes. For instance, the Ultimate Rewards earned with a Chase Sapphire Preferred® Card, one of our top picks, are worth the most when redeemed for travel or transferred to a travel partner. Once you’ve selected a credit card based on credit category and features, it’s time to apply. While the exact application process will vary by issuer, most credit cards will have the same basic requirements and ask for the same information. Founded as an express mail service in 1850, American Express later expanded into money orders, traveler’s checks, and, eventually, consumer charge and credit cards. Today, the company fondly nicknamed Amex is one of the top five credit card issuers in the world and the leader in credit card transactions, averaging 6 million transactions a year. The average Amex applicant has a credit score above 730, but the issuer offers a range of credit products, with card options for a variety of credit scores that also run the rewards gamut. To apply for an American Express credit card, simply head online or call the designated application phone number. You can also apply by filling out and mailing in the application associated with a pre-qualified mail offer. Check the Amex website to sign up to receive mail offers and/or check for current offers. Originally founded to serve the financial needs of US immigrants in the early 1900s, Bank of America is one of today’s largest multinational banks — and a top-ten credit card issuer. Bank of America’s line of credit cards includes options for cash back and travel rewards, as well as 0% intro APR offers. While the average Bank of America cardholder has a score over 740, others are in 650 to 700 range. In addition to applying by responding to a pre-approval offer, you can apply for a Bank of America credit card online or by phone, or by heading into your local bank branch. 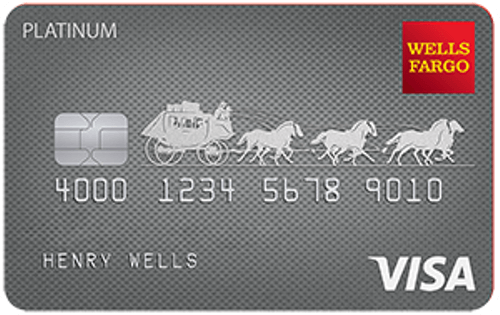 One fun benefit of your new Bank of America credit card is the option to customize the look of your card. BOA cardholders can select from a number of cool card designs to help their card stand out from the crowd. Although Capital One is a younger credit card issuer, having only been established in the mid-1990s, it has quickly risen through the ranks to become a top-ten issuer. Capital One has made many waves in the credit card space, such as with its popular blackout-free travel rewards program, and is trying to change banking (for the better) with its Capital One Cafes. Capital One’s average cardholder has a credit score around 715, but the issuer accepts applicants with a range of credit scores. You can select from its popular Venture Rewards series of cards, or try out a cash back or co-branded option. Apply online, by phone, or at your nearest Capital One bank branch. As with most other major issuers, you can also apply by responding to a pre-qualification offer received in the mail. Pre-qualifying with Capital One can be a good indicator of your approval odds. JPMorgan Chase, known simply as Chase, has an ancestry stretching back to the turn of the 18th century. The modern Chase has more than 90 million cardholders worldwide, thanks in part to its popular Ultimate Rewards program and stable of cash back and points cards. While Chase’s average cardholder credit score is around 715, cardholder scores can actually range more than 100 points in either direction. Interested applicants can apply for a Chase credit card in-branch, online, or by phone, but those hoping to beat the infamous 5/24 rule may have the best luck applying in a bank branch. Filling out and mailing the application that comes with a pre-approval offer can also be an easy way to apply. If you’re unsure of your approval odds, sticking to Chase pre-approval offers can be a good strategy. Initially established in 1812 as City Bank of New York, Citibank has over 200 years of experience helping American consumers with their financial needs. Currently, Citi has over 48 million global cardholders, and one of the only unlimited 2% cash back cards on the market. Citi has one of the highest average credit scores, with typical cardholders scoring around 750, but has entry-level options as well. Similar to our other major bank issuers, you can apply for a Citi credit card by responding to a pre-approval offer, applying online, calling the toll-free number, or by heading into your local Citi branch. In addition to offering a number of popular cards directly, many major brands have partnered with Citi for co-branded card options with exclusive rewards. Birthed from the then-largest retailer in the US in 1985, Sears, Discover Financial Services, or simply Discover, became its own entity in the mid-2000s. 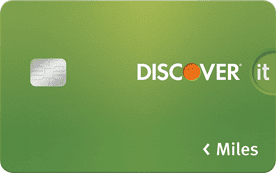 Discover was the first issuer to a cash back rewards program and is lauded for its customer service. In addition to a full complement of credit cards with no annual fee, Discover offers its unique Cashback Match program to new cardholders. Despite an average credit score around 730, Discover cardholders have scores all over the range from 600 and up. The quickest way to apply for a new Discover card is online, but you can apply by phone or by completing the application sent with a Discover pre-qualification offer. 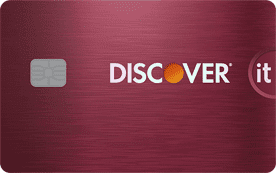 Discover is a big fan of offering its customers choices, as shown by its range of card options, but it goes beyond your choice of rewards. Cardholders can also select from over 40 card designs to really customize their cards. 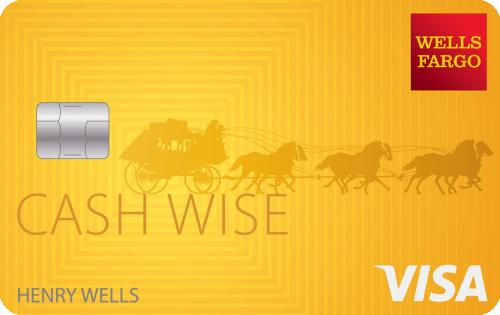 Founded in the mid-1800s to serve California during the heart of the gold rush, Wells Fargo earned its iconic logo when it established an overland stagecoach line to move mail, money, and people across the West. The 160-year-old company is now one of the largest banks in the world and has issued over 24 million credit cards. Wells Fargo cardholders have a higher average credit score of 750, but the bank accepts applicants with a variety of scores. 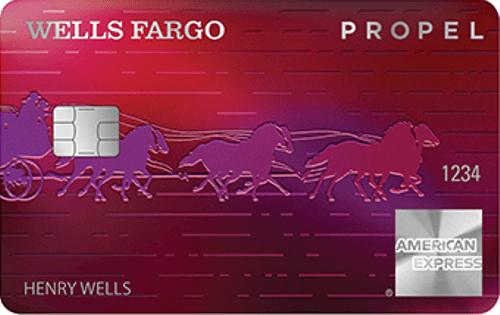 Those interested in a Wells Fargo credit card can choose from rewards options including points and cash back, as well as intro APR offers. To apply, you can head into a local Wells Fargo bank branch, call the toll-free number, or head online to fill out an application. If you’ve received a pre-qualification offer in the mail, you can also apply by filling out the accompanying application. There is currently no way to signup for or check for Wells Fargo credit card pre-qualification offers online. The amount of time it takes to receive a response to your application will vary depending on both the method you use to apply and your specific qualifications. In the majority of cases, applying online will provide a response in a matter of minutes. In some situations, an immediate online response isn’t available, and you may need to wait for your response in the mail. This is typically due to the need to verify information on the application, such as your annual income, or to request additional information. In some cases, issuers need to verify your information or collect additional data to come to a decision on a credit card application. Applying by phone or in a bank branch can also result in a response within minutes, as well as limiting the need to wait for information verification or additional information requests. In all cases, you should receive a letter in the mail within seven to 10 business days. If you don’t receive an initial decision — and don’t wish to wait for a snail-mail response — you can contact your issuer directly to check on the status of your application. Make sure you have personal information, such as your Social Security number, on hand, as well as any appropriate application or confirmation numbers. While American Express doesn’t have a dedicated application status phone number (you’ll have to go through regular customer service), it does have a quick and easy online site for getting updates. You’ll need your Social Security number and home ZIP code to check your status online. There are several ways to check your Bank of America application status, including by phone and through the dedicated web page. Bank of America will request your full name, the last four digits of your Social Security number, and your ZIP code to check your status. Checking your Capital One application status can be done by calling the application status line or by going into your local Capital One branch, but the bank doesn’t offer an online way to check your status. Capital One doesn’t offer an online contact form either, so you’ll have to talk to someone directly to get an update. With no dedicated website for status updates, those looking to check their Chase application status can do so by heading into the nearest Chase branch, or by calling the automated application status phone number. If you already have a Chase online banking account, you may be able to check the status of your application through your existing online account’s Customer Center tab. Citibank makes it easy to check your application status by providing both a dedicated phone line as well as a specific web page; you can also head into your local branch. You’ll need to provide your application ID and ZIP code to check your status, or use your phone number, ZIP code, and month and year of birth. Determining your Discover application status is as easy as heading online to the dedicated site, or calling customer service. Discover requests your Social Security number and ZIP code to check your status online. You can call the check status line to check your Wells Fargo application status, or check your status online using your Wells Fargo Online Banking information. If you don’t already have an online banking account with Wells Fargo, you can use the Access Code emailed to you at the time of application. Unfortunately, no matter how well you vet your options, some credit card relationships simply aren’t meant to be. Although some applicants will be denied based on the number of credit cards they already have or their previous history with a particular issuer, the majority of denied applications are due to not meeting the specific credit requirements for that card. Even if your credit wasn’t to blame for being turned down, your odds of being approved for the next card will be higher if you stick to cards within your credit category or lower. Your new credit card will need to be activated before it can be used to make purchases. With your card in hand, it’s time to activate. The activation information should be on a sticker on your new card. Most issuers will provide either an automated activation phone number, a dedicated web address — or both. You can’t use your new card to make purchases until it’s activated, so don’t skip this step. If your new card is a chip-and-signature credit card, meaning it’s verified via your signature, you’ll want to sign the back of your card. Some prefer to have merchants check their photo identification when verifying a purchase, in which case you can print “See I.D.” in the signature line to encourage the extra security. 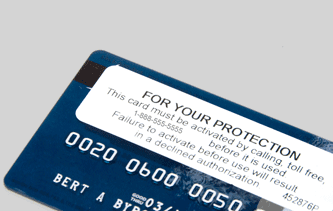 The other common type of credit card is a chip-and-pin card, which uses a four-digit numerical pin to verify purchases. If your new card uses chip-and-pin verification, you’ll need to set up your numerical pin when you activate your card. The world of consumer finance is a vast, complex place. Fortunately, you don’t need to be a financial guru to navigate it — you simply need the right tools and information. Indeed, with the proper knowledge, things like finding and applying for a new credit card can be downright easy. On the other hand, some parts of finance can’t be mastered simply with a helpful guide. This includes maintaining the discipline and moderation necessary to use your new credit card wisely, like remembering to always pay on time and ensuring your balances stay low. You can find the help you need to stay on the right path in a number of places. Your issuer likely offers a variety of tools to help you use your card wisely. Most major credit card issuers now provide free credit scores with your statement each month, and many will even track your score during the year so you can see your progress. Another good way to make sure you build your credit the right way is to use technology to automate and digitize your finances. For example, late and missed payments are huge credit score killers; setting up automatic payments for your new credit card can help you make sure you always pay on time. You can also use your favorite financial calculator website or one of the many budgeting applications for Android and for Apple devices to help you avoid overspending.